HISLEA honors our fallen members and associates, heroes who have fallen in the line of duty, by maintaining a remembrance of their service and dedication. At about 10pm, on 18 March 2002, Marquez, 47, a 20-year veteran of the department, was attempting to serve a warrant to the owner of a building in the 25th district. After several minutes of negotiations, the owner refused to leave his home. Marquez began to make a forced entry into the apartment, he knocked down the door with a sledge hammer, and immediately after gaining entry Marquez was shot three times by the owner of the building. He was shot with a .22 caliber semi-automatic pistol, he received two rounds to the chest and one to the head, he later succumbed to his injuries and died.The building owner, Henry A. Wolk, 77, failed to appear in housing court after he was fined $14,500 in 2001 for 29 housing code violations, he was shot and killed in an ensuing gun battle. Officer Marquez, a graduate of Kelly High School where he played football, grew up in the back of the yards neighborhood and was a sheet-meal worker before joining the police department in 1982. He was a gang crimes investigator, a tactical officer in a unit nicknamed “The Wild Bunch,” worked in the mass transit unit and won numerous awards before he was detailed several months ago to the city’s Law Department, where he served subpoenas and arrested those who ignored them. Officer Marquez leaves behind a loving wife (Maria), four beautiful children, and one grandson. 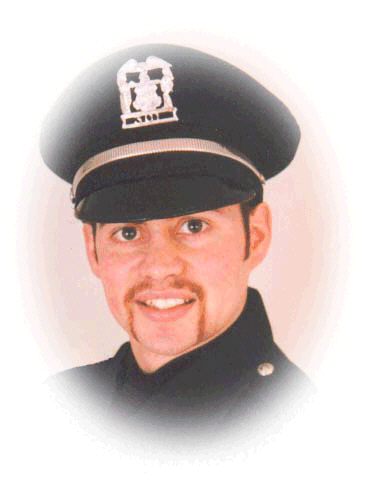 On 16 January 2002, Detective Perez, 35, was involved in a tragic automobile accident, while on duty, during a transport of a subject wanted for questioning in a homicide investigation. 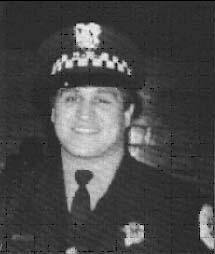 Detective Perez later succumbed to his injuries incurred in the auto accident on 17 January 2002 and died.Detective Alvin Perez joined the Bellwood Police Department in October 1990. Prior to joining the police department, Detective Perez served four (4) years in the United States Navy. Detective Perez wore many hats as a member of the Bellwood Police Department. 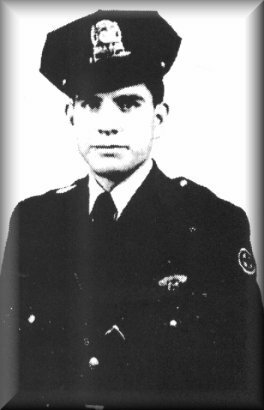 He was a Field Training Officer (F.T.O. ), Team Leader (Tactical Entry Team), Breathalyzer Operator, ASP Baton Instructor, Distraction Device Operator, Self-defense Instructor and a Certified Law Enforcement Fitness Coordinator. Detective Perez was recently appointed as an Instructor at Triton Community College. Detective Perez also participated in many community activities such as the Annual Senior Citizens’ Health and Fitness Fair, Special Olympics and Community Policing. Detective Perez was an active member of HISLEA, and participated regularly in the Puerto Rican and Mexican Day Parade’s. Despite having a full plate, Detective Perez found the time to go back to school and earn a Bachelor of Arts and a Master of Arts Degree. On January 01, 2002, Alvin Perez was promoted to the rank of Detective. 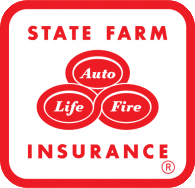 Prior to coming to the Investigative Division, Detective Perez served one (1) year as an Inspector with the Illinois State Police South Suburban Auto Theft Interdiction Network Unit (S.S.A.T.I.N.). Detective Perez leaves behind a loving wife (Marjorie) and three beautiful children (Jessica, Alvin III and Alexander). During the 1999 HISLEA 10th Annual Award Banquet, HISLEA dedicated this moment to the memory of Police Officer Anthony Samfay, Kankakee Police Department. He was killed in the line of duty during a routine traffic stop. Officer Samfay was the first Kankakee police officer killed in the line of duty since 1913. Samfay, who had been with the force since January 1995, was shot on a busy street as a busload of elementary school children watched in horror. In the fall of 1970, just as he was preparing to head up the Federal Bureau of Narcotics and Dangerous Drugs force in Madrid, Spain, the adventure came to an abrupt and agonizing end. Seven known addicts and troublemakers ganged up on Jordan and brutally beat him to death. Off-duty, he was reluctant to use his gun even though the odds were seven to one. Hector lost his life to a gang of savage thugs on a rampage.The turning point in Jordan’s life came when he applied to be the first Hispanic officer on the Aurora Police Department He was exhilarated by the potential to take on the uncharted territory of law enforcement. But that dream evolved into a nightmare shortly after he was offered the job. A meeting of department chieftains behind closed doors revealed underlying trepidation over this “affirmative action.” They wanted to establish sonic ground rules for Jordan’s interaction with “his people” –to have him tread carefully in dealing with “white” citizens, since his hiring was, after all, a break from tradition. Jordan was angry and demoralized, his staunch pride in his heritage was humiliated. He halted plans to pick tip his uniform and informed the department that they could conduct their “experiment” with a more ‘pliable” candidate. The officials quickly altered their tone and position and urged Jordan to reconsider. He did –but would never forget the insidious bias that his birthright would inspire, and resolved that his achievements would render such prejudice a travesty. Rowdy Saturday nights on skid row, stake outs that stretched into predawn hours, stand offs with thugs –all became the landscape of his life. Jordan had an irresistible curiosity about the secrets of the criminal mind. Any case he pursued was a full time effort, and it was not his burden, but his joy, to take his investigations home and enlist his family and friends to advance a lead. The name Hector Jordan turned up on countless city commendations, including Policeman of the Year. Beyond the spotlight, he was often practicing off-duty social work — lending a hand to everyone from the indigent families he met caught in the crossfire of crime and adversity, to the helpless wino on the street corner in need of a meal. Jordan’s quest for new challenges eventually took him to the Federal Bureau of Narcotics and Dangerous Drugs –today’s D.E.A. –where he fast distinguished himself as one of the nation’s most productive, and tireless and imaginative agents. His well honed street smarts, bold spirit and dramatic bent pulled him out of countless near death confrontations. The ever looming reality of law enforcement is the fate which befell Hector Jordan, but his triumph beyond morality is in a life lived in undaunted enthusiasm, purpose and vision. The passion and pride particular to his Mexican heritage ever enriched his gift for experiencing each day, each challenge to the fullest. For every cop, living those precious and vulnerable moments fully, is the ultimate legacy. It’s a batter proof, bulletproof protection for no regrets — and it was a way of life. until death, for Hector Jordan. Officer Ruiz was shot and killed while investigating a suspicious person call, involving an emotionally disturbed person, at the Montefiore Special Elementary School. Officer Ruiz and her partner, Greg Jaglowski, confronted a mentally deranged gunman after the man had already shot four people, three fatally, at an auto parts store located across the street.After wounding one officer, the gunman fired at Officer Ruiz. She was mortally wounded in the attack. Despite being wounded, Officer Ruiz’s partner was able to return fire and kill the gunman. Officer Ruiz and her partner were credited with saving the lives of hundreds of young school children that day. In memory of her heroic efforts the brand new Irma C. Ruiz Elementary School was named in her honor. Officer Ruiz is survived by her husband, daughter, and three sons. Officer Alejandro “Alex” Valadez was shot and killed while investigating reports of gunfire on South Hermitage Road shortly after midnight. As he and his partner were questioning several residents a vehicle drove up and an occupant opened fire, striking Officer Valadez once in the leg and once in the head.He was transported to Stroger Hospital where he succumbed to his wounds later in the day. Officer Valadez had served with the Department for three years, and had just become a member of LAPA in February of 2009. He is survived by his parents, sister, brother, and fiancé. His brother, sister, and fiancé also serve with the Chicago Police Department. Police Officer Eric Solorio died from injuries he received during a squad car accident during a vehicle pursuit.On January 17, Officer Solorio was in the passenger seat as he and his partner spotted a car speeding near 67th and Union at 10:47 p.m. The officers initiated the pursuit while traveling east on 67th Street. Their squad car was cut off by another driver and they rammed into a tree and church building at 701 W. Marquette. Officer Solorio was assigned to the Targeted Response Unit and served with the Chicago Police Department for 3.5 years. He is survived by his mother, brother, and two sisters. 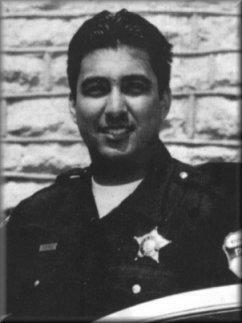 On September 7, 2006 Officer Solorio’s star was retired by the Chicago Police Department. Officer Perez was struck and killed by a Metra commuter train while conducting a stakeout in the West Side. He and his partner were on a railroad trestle above Spaulding Avenue when a train approached. Officer Perez’s partner was able to jump to safety, but Officer Perez was pulled underneath the passing train.Officer Perez had been with the Chicago Police Department for four years and is survived by his wife and three young children.